Got an enquiry? Call us today! the residents and businesses that are your best possible prospects. Lead generation also allows you to discover your individual prospects questions, concerns, objections, and hot-button issues. Lead generation programs are the perfect marketing tool to properly qualify your prospects so your highly skilled, highly paid salespeople are not wasting their valuable time! 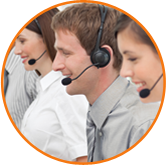 Lead generation can easily and cost-effectively be outsourced to an experienced telemarketing call center with state-of-the-art technology and quality lead generation experts. Outsourcing your lead generation keeps your salespeople doing what they should be doing – meeting with qualified decision makers and selling! Outsourcing your lead generation makes good business sense. With today’s advanced dialing systems, it is more cost effective to outsource your lead generation program than do it in-house. Let’s face it, lead generation and prospecting are not your salespeople’s favourite activities. We can have a lead generation program up, running, and fine-tuned for you in just a few days. You can turn the lead generation campaign on and off as needed. It’s fast, and takes very little effort on your part. We do all the work. Outsourcing your lead generation also eliminates several headaches. If you do your lead generation in-house, you are constantly advertising for telemarketers, hiring, training, and firing. 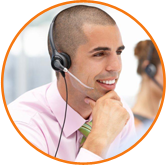 If you want your in-house lead generation efforts to perform at maximum efficiency, you must have a telemarketing manager in place to monitor your telemarketers. You can’t just leave them in a room unsupervised. Our lead generation experts know how to penetrate a screen, get a decision maker on the phone, generate interest, probe, and ask the right qualification questions to determine those who are your best prospects.